Great fit. Would recommend. Was able to get older mower working for a reasonable price. 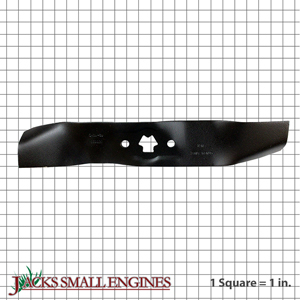 I have been using jacks small engines now for about 4 years for all my lawn mower, chain saw and tiller parts. They always ship in a timely manner, and unless I make an error in ordering the correct part everything fits as well as the original. I am so pleased I found their site and look forward to doing business with them for years to come. I ordered 3 335695 high lift blades and received them in a very timely fashion. I also ordered 2 335691 high lift blades and never received them. Not sure what happened to the second order. I will call the office today again. Ask us about the Stens 335695 Hi Lift Blade. Please no repair questions. Your Q&A may be posted to Jackssmallengines.com to help other shoppers, like you, with their purchasing decisions. Thank you.